Careful and accurate installation is very essential for trouble free operation and long life. The following instructions should therefore be carefully observed. Make sure that all shafts are parallel and level. Check alignment with a spirit level. The shafts should be supported by sufficiently strong bearings to avoid any displacement during operation. Align the sprockets exactly on the shafts. 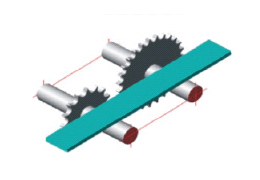 Check with a straight edge of a string held against the sides of the sprocket face. Improper alignment of sprockets will cause abnormal wear on the chain link plates and on the sides of the sprocket teeth. Check occasionally during operation for such wear. 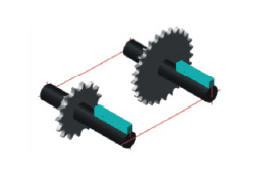 Wrap the chain around the sprockets and bring the two ends together on one sprocket to connect them with a connecting link. The chain should never run with both sides tight. To check tension, turn one sprocket to tighten the lower span of the chain. 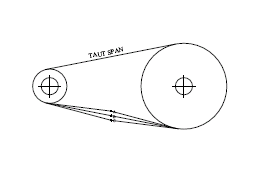 Then measure the sag of the lower strand which should be about 2 to 3% of the tangent to the sprockets. In an inclined drive the sag should be less. 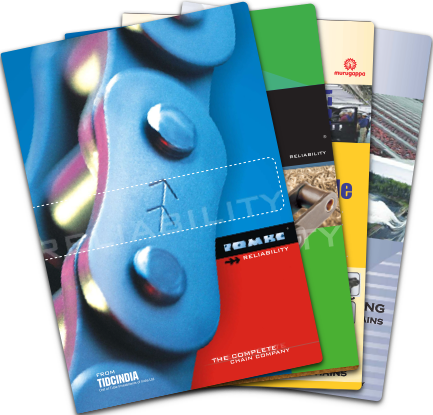 In vertical drives a chain tensioner must be provided for.